Ford will launch an electric SUV and hybrid versions of the Transit Custom, Mustang and F-150 by the end of the decade, as part of plans to broaden its line-up of electrified options. The Ford Mustang will get a high-performance hybrid drivetrain, but not in Europe. The Transit Custom will be the brand’s first electrified commercial vehicle, and tests of the plug-in hybrid will begin in Europe this year, the company said, ahead of a 2019 launch date. By the end of the decade, a US-built all-electric crossover with a range of more than 300 miles will be available globally, it’s unclear whether this will be part of the Kuga or Edge line-ups or a stand-alone model. 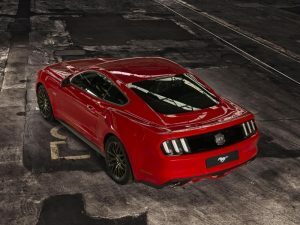 North America will get hybrid versions of the Mustang and Ford F-150 pickup, the former said to offer the performance of a V8 engine and the latter functioning as a mobile generator. Two new police pursuit vehicles will also be available, both with hybrid technology. The newcomers are the first of 13 new electrified vehicles set to launch before 2020, as Ford invests $4.5bn in the technology. Wireless charging is also being tested in the United States and Europe.